UW-Madison is known as the birthplace of limnology in North America. Edward Birge and Chancey Juday were the pioneers of the field and Arthur Hasler continued the tradition by moving the CFL in new directions. Edward A. Birge (1851-1950) was hired as zoologist at UW-Madison in 1875 and was joined by Chancey Juday in 1908. Over a 40 year period, Birge and Juday tackled a wide range of research questions emphasizing the descriptive and comparative study of north-temperate lakes. Though the death of Juday in 1944 left the program in decline, Arthur D. Hasler, a former student of Juday, returned to UW-Madison in 1937. Upon Hasler’s retirement in 1978, the limnology program included several leaders of the field – John Magnuson, Jim Kitchell, Stanley Dodson, and eventually Steve Carpenter. 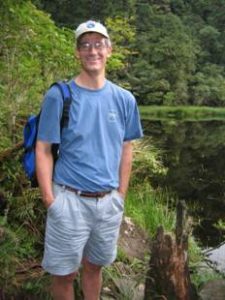 While continuing Hasler’s tradition of fish studies, this group also expanded into long-term ecological research, climate change, ecosystem ecology, modeling, and regional and global perspectives on freshwaters. The University, being only about 25 years old and 500 students, had no research program to speak of and no facilities to do it in. Besides teaching courses in several areas including zoology, botany, human anatomy and bacteriology, Birge played a major role in creating a research program for zoology and physiology. He was also one of the first to use research and individual laboratory work as a method of teaching. Birge’s interest had little to do with limnology, however, until he accidentally came across a part written by France in 1894 discussing zooplankton migration in Lake Balaton in Hungary. 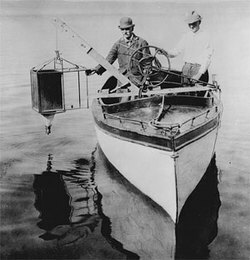 Birge wondered if the zooplankton in Lake Mendota followed similar patterns and soon began to design equipment to study it. 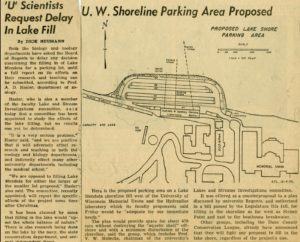 Thus, the adventure of Limnology at the University of Wisconsin began. 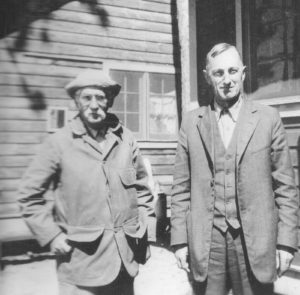 Chancey Juday (1871-1944) joined Birge as a half-time lecturer in the Department of Zoology in 1908 after working for the newly created Wisconsin Geological and Natural History Survey for several years. In 1909, he began teaching the first courses on limnology and plankton organisms. He also produced the first graduate students in limnology at the University. After Juday’s arrival in the area, Birge and Juday began to work together as a team, initially concentrating their research on the Madison lakes, especially Mendota. Most of their early research was in dissolved gases in Wisconsin lakes. Their first joint publication was is 1908 and that was just the beginning. Over time they would be responsible for coauthoring over 1500 pages. They were both field researchers, skeptical of laboratory experiments, hated “desk produced” papers and collected huge amounts of data, believing that if they collected enough data, it would speak for itself. They also knew that collaboration was the key to studying lakes. It was not unheard of to have up to 50 researchers from many different backgrounds, such as chemists, biologists, geologists and meteorologists involved in one publication. Arthur D. Hasler (1908-2001) came to the University while Birge and Juday were still active, bringing with him a new direction of experimental approaches (including the experimental manipulation of whole lakes), fish ecology and behavior and the conservation of freshwater systems. 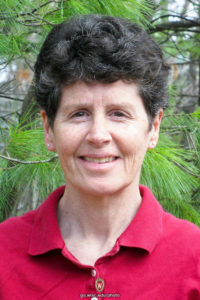 Hasler’s best known research is the liming of Peter and Paul Lake in 1950 and homing behavior of anadromous Pacific salmon. Hasler retired in 1978 and, like many before and after him, continued to contribute to the Center for Limnology mission. Hasler was one of 13 students who received doctorates under Chancey Juday in 1932. 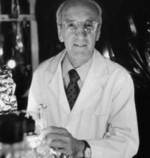 In 1937 he returned to the University, completed his PhD and was hired as an instructor in the Zoology Department and promoted to assistant professor in 1941. After serving with the U.S. Strategic Bombing Survey in Germany in 1945, he returned to the university in 1945 as associate professor of Zoology and was promoted to full professor in 1948, and served in that capacity until he retired in 1978. The Wisconsin School of Limnology was continued, strengthened, and enlarged by Hasler from 1946-1978. Art’s son, Fritz, spent several years archiving his father’s history. Click here to read many more details and see photos of Art Hasler. The Hasler Laboratory of Limnology (or Hasler Lab) is a working research station on the shores of Lake Mendota within the University of Wisconsin campus. 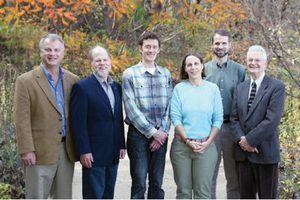 Serving as a base of operations for the southern lakes research projects and the river ecology programs, it additionally serves as the administrative home for the Center for Limnology and the Limnology and Marine Sciences Graduate Studies Program. 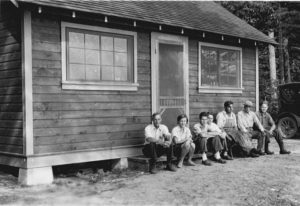 Trout Lake Station was established in 1925 as a central location to study the diversity of lakes in northern Wisconsin. Birge and Juday’s hopes were that by studying the different characteristics of many lakes, including a 500 lake survey, they would be able to discover some general limnological principles. 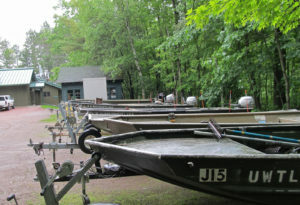 For the first three years, it was housed in an old schoolhouse and a garage at the Wisconsin State Forestry Headquarters. most slept in tents and ate with the forestry workers. Even reaching the station was a major undertaking as there were only 20 miles of paved road between Madison and Trout Lake. In 1928, Birge and Juday received permission to build a permanent laboratory and, as time went on, more buildings. As the station grew, its notoriety did as well. 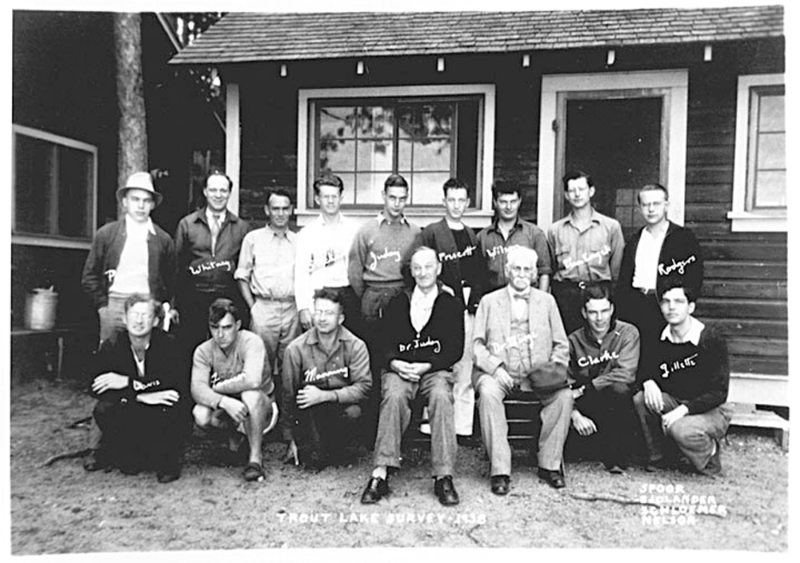 Researchers from many disciplines around the nation and the world began to cite limnologists from the studies of Trout Lake. Some even began to visit Trout Lake themselves. As Birge and Juday were considering retirement, Art Hasler was prepared to take the Center in new directions. Hasler believed that it was possible to do field experiments in a controlled environment. Methodology became very important in his research and he made sure his students did the same. Birge and Juday saw a lake as a microcosm, or a unit of environment. Hasler gave more consideration to the environment around the lake as well. He believed a lake is influenced by what drains into it, and the soil and plants around it. Hasler is probably most famous for his experiments on salmon homing spending the better part of 35 years on this hypothesis. He also became well known for what was called “whole lake manipulations”. Unlike Birge and Juday, Hasler also became involved in conservation. 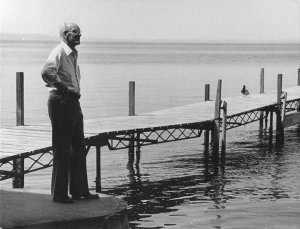 Long before ecology became of public interest, he was known to lobby for legislation to protect lakes and streams in Wisconsin. His students were often involved in research on water pollution and resource conservation. 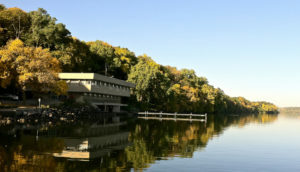 In 1962, Hasler applied for and received funds from the National Science Foundation (NSF) to build the Lake Mendota Lab, and appointed William Kaeser as the architect to give it its unique style. 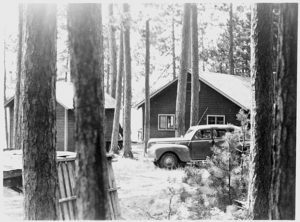 In 1967, Hasler then approached the University for new research facilities at Trout Lake, and with help from the NSF was able to build new facilities there. 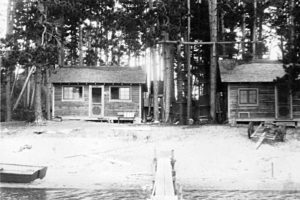 Trout Lake Station was transformed from a temporary site used only in the summer to a year-round research station. 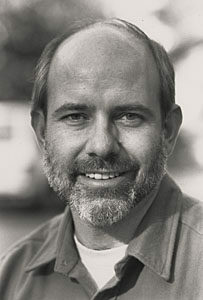 Tom Frost (1950-2000) became director of the Trout Lake Station in 1981. He served until his death in 2000. Tim Kratz suceeded him and remains the current director. 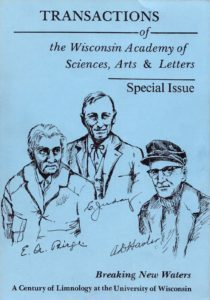 The spirit of the Transactions publication lives on today in the Wisconsin Academy’s Wisconsin Idea program and publications. 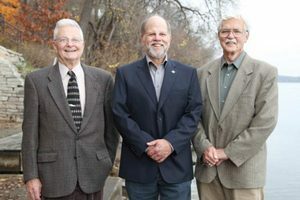 Representing three eras of leadership at the University of Wisconsin Center for Limnology, John Magnuson, Steve Carpenter and Jim Kitchell pose for a photo near the banks of Lake Mendota in Madison. The Center for Limnology continues to be a leader in the study of limnology. Since Hasler retired, John Magnuson, James Kitchell, Steve Carpenter and current director, Jake Vander Zanden have carried on the traditions that have made the Center known internationally in the field. The CFL continues to attract some of the best students in the world, and through programs such as the Long-Term Ecological Research (LTER) program and North Temperate Lakes LTER program (NTL LTER) ensures its place in the future. the contributions of John Magnuson, James Kitchell, Steve Carpenter, Paul Hanson, Peter McIntyre, Emily Stanley, Hilary Dugan and current CFL director Jake Vander Zanden. CFL on-line Newsletters also provide on-going historical information from the first publication in 1987 through today.